Throughout the history of the United States, images of China have populated the American imagination. Always in flux, these images shift rapidly, as they did during the early decades of the twentieth century. In this erudite and original study, Karen J. Leong explores the gendering of American orientalism during the 1930s and 1940s. 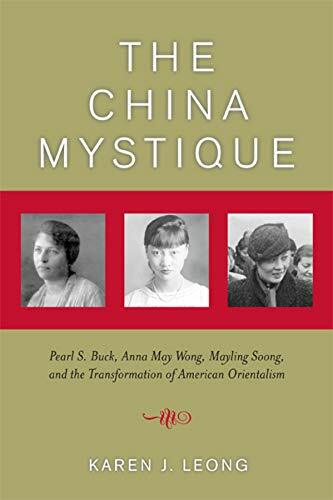 Focusing on three women who were popularly and publicly associated with China--Pearl S. Buck, Anna May Wong, and Mayling Soong--Leong shows how each negotiated what it meant to be American, Chinese American, and Chinese against the backdrop of changes in the United States as a national community and as an international power. The China Mystique illustrates how each of these women encountered the possibilities as well as the limitations of transnational status in attempting to shape her own opportunities. During these two decades, each woman enjoyed expanding visibility due to an increasingly global mass culture, rising nationalism in Asia, the emergence of the United States from the shadows of imperialism to world power, and the more assertive participation of women in civic and consumer culture.